RightScale has long prided itself on its ability to manage multiple clouds — private, public, hybrid, from different vendors, whatever. Now it’s making its first foray into customers’ old-school non-cloudy data centers. 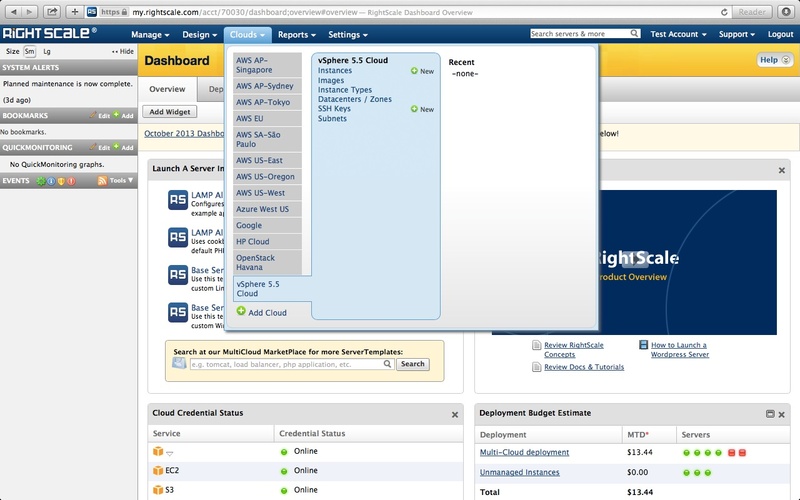 The new RightScale Cloud Appliance for vSphere will help the many companies that run vSphere virtualization and management tools in house along with outside clouds get a more consolidated view of those mixed environments. There are a ton of VMware (s vmw) shops out there that are heavily virtualized but haven’t yet made the leap to cloud but are weighing that possibility. “Having a multicloud management layer like RightScale helps them, if they deploy in vSphere and then want to move down the line to cloud, this leaves their options open,” said Thorsten von Eicken, co-founder and CTO of RightScale, based in Santa Barbara, Calif. There are two major scenarios in the many RightScale enterprise accounts that run VMware, he said. Some see VMware as expensive and are seeking alternatives going forward. Others want to remain committed to VMware in-house but still run some things in outside clouds. Indeed, most companies with an IT budget of any size are wary of committing too much to a single vendor whether it’s in the cloud or their own data center. The adapter will allow customers to view their VSphere usage in their RightScale analytics console and use vCenter Server and RightScale Cloud Portfolio Management in tandem. Other multi-cloud management offerings include Enstratius, which Dell(s dell) bought earlier this year.